If you are Noreen, please join here and update your profile! Updates to Noreen's profile since your last visit are highlighted in yellow. 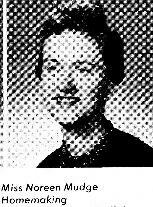 Noreen graduated from WCS in the Class of 1955. After college she returned to WCS to teach home economics.